Most companies only scratch the surface on generational awareness. 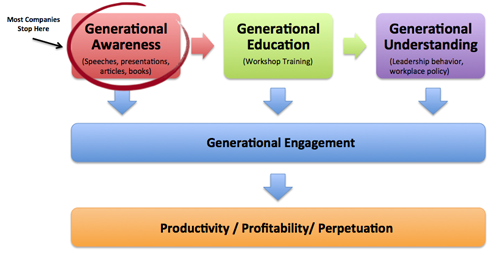 Sure, it helps to attend a speech or short workshop on generational differences, but only through Education and understanding can companies reach higher engagement levels, and in turn, affect Productivity, Profitability, and Perpetuation. Measure and Manage your way to the three P's-- Productivity, Profitability, and Perpetuation. Sales are good, but could they be better? Your new sales hires are talented, but how do you know they are getting the coaching they need? Your managers are experienced, but do they have the tools they need to train, coach, and mentor the new sales hires? 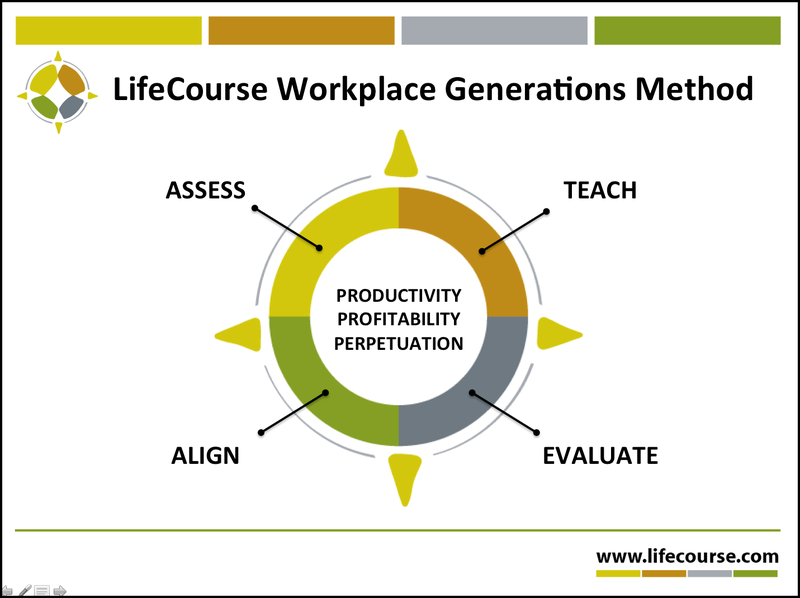 LifeCourse introduces the 4-step Workplace Generational Method, a comprehensive way to measure and manage your way to the three P's: Productivity, Profitability, and Perpetuation. Assess, Teach, Align, Evaluate.